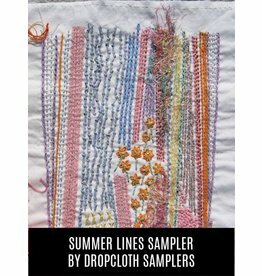 The newest stitch sampler from Dropcloth Samplers is finally here, and it's got more stitches than any other sampler in the collection. 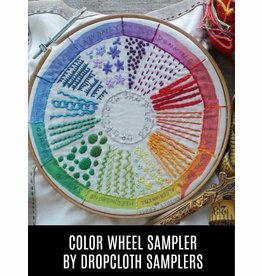 This sampler, the brightest one yet, is a fun celebration of color. 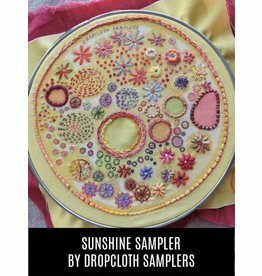 It is printed on a yellow background, with chain stitches, lazy daisies, and lines open to your own interpretations. 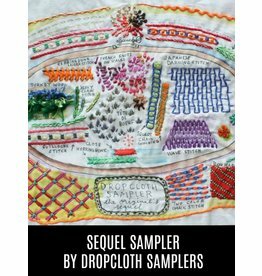 This sampler is 8" x 8"
This first in a series of printed samplers to embroider is hand drawn and printed on cotton. 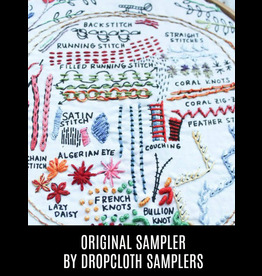 It arrives ready to stitch! 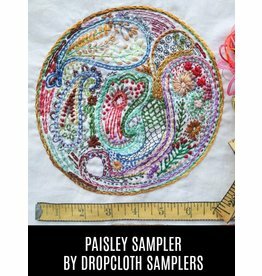 This sampler measures approx 10 x 12"
The latest in a series of printed samplers to embroider is hand drawn and printed on cotton. 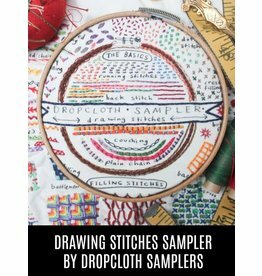 It arrives ready to stitch! 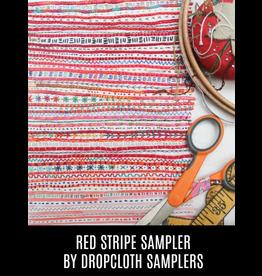 This sampler is 9 x 10"